My husband is the resident FireMarshall, Safety Monitor, Killer of Joy. If there is fun being had, there must be a safety violation happening. Never fear, cause the KOJ (KOGE) is here! If he sees fun happening, he is there to give you your safety briefing and to warn you of what horrific possibilities of death & mayhem that could happen if you continue on that path of fun. You can't help but love him for it...he lets me go about my way on my little adventures...and even will come with me (he definitely ain't participating) to supervise...but I always get a safety briefing; he always checks my gear, does the inventory, makes sure I have "call home" money and so on. I always feel safe & loved. Now, The FireMarshall came by this nomenclature honestly. It started 11 years ago, when we worked at the same pharma company and were launch the famous blue pill. We were doing a dinner program together and a restaurant in DC and something in the kitchen; something plastic, caught fire. The FireMarshall (just plain Mr.TravelDiva then) looks up, starts sniffing the air, declares he smells noxious fumes, and starts evacuating the place. The manager had to run after us to tell us it was just something in the kitchen, the restaurant was NOT burning down and could he help return all the patrons to the restaurant. 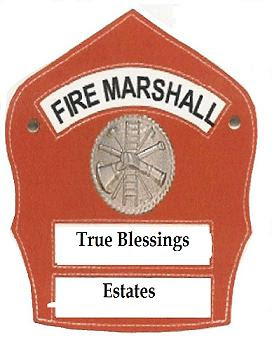 If you could have seen the FireMarshall's face - the seriousness of his mission - FUNNY AS HELL. But his mission in life did not end there. Shortly after the above event, we had a major incident at our home. We were living in a townhouse in Columbia and were about to move into our current home. One evening, according to my husband, he smelled gaseous & noxious fumes coming from an undisclosed location. We investigated together and discovered the smell was coming from the water heater - as a former Electrical Engineering student, I knew what that smell was - it was the smell of a blow circuit & melting wires....BUT NOOOOOO!!!! Mr. TravelDiva was not satisfied, he thought it was something much more serious and proceeded to call BG&E. He told the woman that he smelled a "gaseous & noxious fume" coming from the closet where our appliance closet was. What do you think she said? She told him if he smelled gaseous fumes then he should call the fire department IMMEDIATELY. And that is just want he did. I just wanted to die. Now, telling the fire department that you have gaseous fumes coming from your home - in a town home community - constitutes a national emergency. We ended up with 3 fire trucks, 2 ambulances and the county FIRE MARSHALL at our front door. LAWD HAB MURCEY! The fire marshall and about 10 fire people entered our home and did a thorough search of every nook & cranny to finally announce "Sir, you have some blown circuitry on your water heater"
My husband, just as calm as he could be, thanked everyone for coming and announced "Better safe than sorry." We just HAD to move.